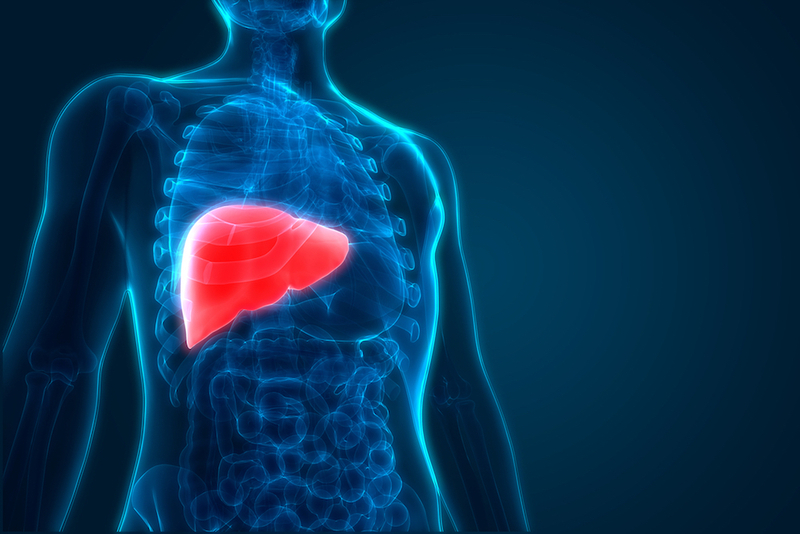 Virginia Commonwealth University researchers have collaborated on a clinical trial that identifies indicators for nonalcoholic fatty liver disease — a typically asymptomatic disease caused by fat buildup in the liver and the leading cause of liver disease in the United States. Mohammad Siddiqui, M.D., an associate professor in the VCU School of Medicine, and researchers with expertise in cardiology, hepatology, and exercise physiology have been conducting research with a focus on the link between heart and liver damage. Their efforts have resulted in a study in which they draw a connection between patients with aggressive types of fatty liver disease and limitations in exercise capacity. Siddiqui is senior author of the study, “Diastolic Dysfunction and Exercise Intolerance are Linked to Severity of Hepatic Fibrosis in Nonalcoholic Fatty Liver Disease,” which the team recently presented at the American Heart Association Scientific Sessions conference in Chicago. 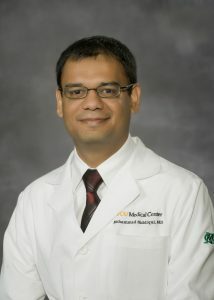 “Nonalcoholic fatty liver disease is often missed in primary care, so by the time patients get the appropriate subspecialty referral, they have usually developed advanced stages of the disease,” said Siddiqui, a practicing hepatologist who sees patients with suspected liver disease at the VCU Health Department of Digestive Health. “We are doing the research that informs eventual guidelines for the best evidence-based care,” he said. VCU Health Pauley Heart Center exercise physiologist Justin Canada, Ph.D. presented the study at the Scientific Sessions. Researchers and clinicians from around the world gather at the annual event to hear from thought leaders on the latest advances in cardiovascular science. Rather than analyzing people who already had cirrhosis or heart failure, as previous studies have done, the interdisciplinary VCU research team analyzed people who had suspected liver damage and had been referred by their physicians to VCU Health for a liver biopsy. About 35 patients with non-alcoholic fatty liver disease proven at biopsy who did not have a diagnosis of heart failure participated in a clinical study in the Clinical Research Services Unit at VCU Medical Center. Patients received echocardiograms and stress echocardiograms while researchers watched their heart function as they exercised on a treadmill. The study was the first of its kind to include liver biopsies and exercise capacity assessments along with questionnaires in the overall analysis. “With the questionnaires, we were able to focus on how the functionality assessments translated into how the patients feel,” Siddiqui said. The researchers found that patients who had a more aggressive type of fatty liver disease, called nonalcoholic steatohepatitis, were more likely to have limitations in exercise capacity. As patients started to get more scarring in their liver, they were more likely to have further reductions in exercise capacity. “They can’t do the same level of activity as somebody who doesn’t have that type of scarring,” Siddiqui said. While more research is needed to inform how to best screen patients and improve clinical outcomes, the VCU-led research sheds light on what is happening in patients who have not yet developed a lot of damage to their heart or liver. It indicates that patients who do not have a diagnosis of heart failure, but have fatty liver disease, might be at risk for developing symptoms that lead to heart failure. Siddiqui credits his ability to conduct the research for the study to the VCU C. Kenneth and Dianne Wright Center for Clinical and Translational Research, which supports clinical research at VCU and VCU Health. The study that was presented at the AHA Scientific Sessions conference was supported through a $50,000 endowment fund that Siddiqui received through the Wright Center last year. The fund supports clinical and translational research that moves discoveries in the laboratory and preclinical studies toward the development of clinical trials. Siddiqui was named an inaugural Wright Center Translational Science Scholar earlier this year. The newly developed program, which is funded through the university, allows researchers to allocate 40 percent of their time to research for three years. “We created the Translational Science Scholar program as a means for supporting a diverse group of faculty who work along the spectrum of translational science,” said Patrick Nana-Sinkam, M.D., associate director of the Wright Center. “The program is intended to provide research training and mentorship to junior faculty in an effort to enhance their research trajectory, position them to be competitive for extramural research funding and eventually become leaders in clinical and translational research,” Nana-Sinkam said. Siddiqui said the money provided by the endowment fund along with the time allocated through the Translational Science Scholar program positioned him for success. “The Translational Science Scholar program has provided me with protected time to do research and push the needle on where the field of liver disease treatment is headed,” he said.